So last year I bought a new camera. An awesome camera. I haven’t yet learned to properly use it, but that’s about to change. I’ve studied photography in the past. I know a bit about composition, not nearly enough about lighting and contrast, and I’m terrible at exploring the world enough to find worthy subjects, but those things are fixable. I’ve studied videography as well, in more detail, back when we worried about 3:2 pulldowns and such, before the days of progressive frame rates. I love moviemaking, and I’m better at it than photography and cinematography, but when has lack of skill ever stopped me from trying something I wanted to try? So I have this awesome camera. When I bought it, like so many other purchases I’ve made, I promised to learn every bell and whistle, every button, every knob, every menu setting. Unfortunately, I rarely ventured beyond the Auto setting. And there I stayed. Auto mode excels at unacceptable depth of fields, blown out whites where you don’t want them, and odd exposure choices. I know enough to know this is unacceptable. Plus I feel like a fake. A phony. Why have this camera if I’m not going to use it properly? Sure, a great lens can make Auto Mode take great photos, but it feels dishonest to myself. I didn’t really take that photo. I simply composed it. The camera did the rest, and I don’t care for that sense of incompetence. I wanted to learn. So this year I decided to learn. The camera is now set to full manual. It will always be set to full manual. I’m taking a photo every day until I’ve explored the various settings and have the ins and outs of the ISO/aperture/shutter relationship etched into my brain. 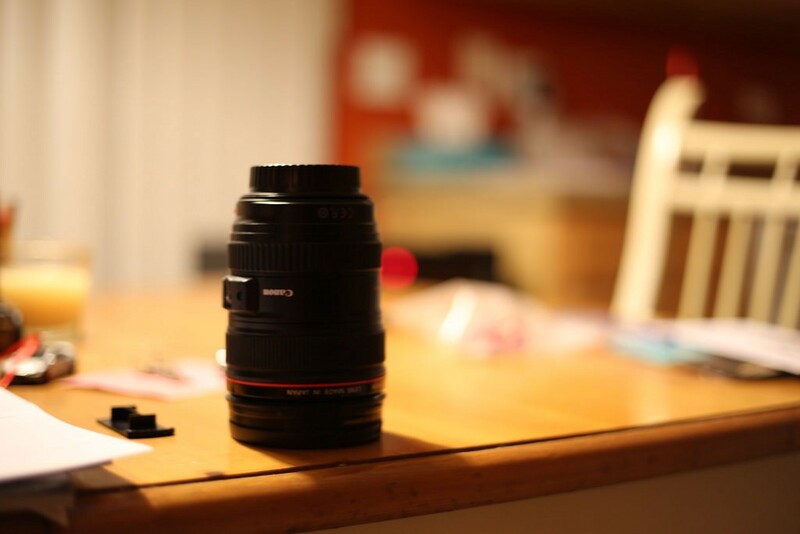 How does focal length affect depth of field? How much noise do various ISO settings generate? What can I do with different lenses? These are all things I’ve investigated in the past, but never in detail, and never with actual camera time. Reading about them doesn’t cut it. You might have the best eye in the world, but you can’t employ it properly without practice and familiarity with your tools (Sounds familiar to most crafts, right?). To document the learning process, I’ve put up a new album on Flickr. One photo every day of the year. Yes, I’ve missed a couple days, but that’s okay. This isn’t meant to be a strict routine. It’s meant to be an education. Incidentally, it should also give me the photo content I need for my blog entries. Bonus! What I’m trying to do with this experiment is find a subject, then play with various settings to see how they affect the outcome. I’ll upload what I consider to be the best of the bunch. I’d love if you Flickr users (if you’re still out there) would check it out. Follow. Comment. You know the drill. Let me know what you think. Let me know what works. I’ll try to keep the subjects varied. After one month, I’m already thrilled with the results. The project has also convinced me to carry a camera at all times. I’ve even forced myself outside to explore. This is exactly what a project like this is meant to do. I know my camera better than ever, I’m feeling creative, and we’re just getting started. Tell me what you like. And be sure to invite me to your albums (either via Flickr or using the comments below). Share. Critique. Discuss. Could be fun. Originally published at Kevin Koperski.